It was planned in 2007 by the State Tourism Department to renovate the structure and improve its infrastructure by building several additional facilities including upgrading the children's park and buildi ng a tourist's shed. 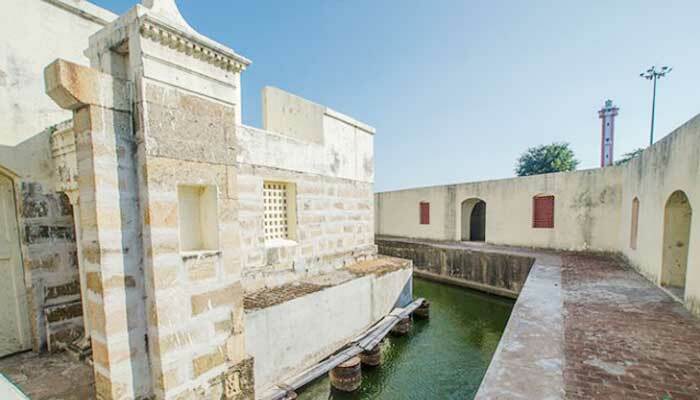 Manora fort is 20 km away from the town of Pattukkottai in Thanjavur district of Tamil Nadu. The fort is picturesquely located in lush greenery surrounded by swaying coconut palms, overlooking the azure waters of the Bay of Bengal. You can’t miss it with its 8-storey, 75-feet high hexagonal tower soaring towards the sky. 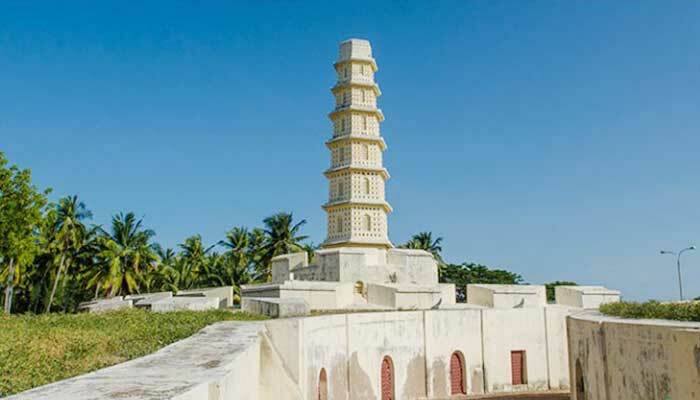 The tower, which is a striking blend of different architectural styles, is surrounded by a moat and offers stunning views of the sea and the surrounding dense green coconut groves. Sarafoji's contribution to culture was immense. 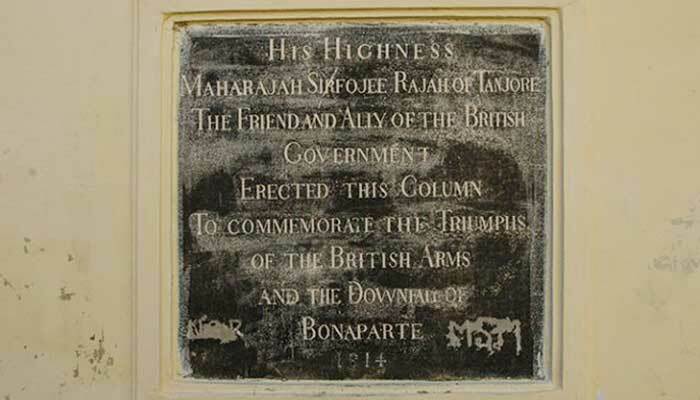 Well versed in Indian and western learning, he collected manuscripts, paintings and artefacts and established a library known as Saraswathi Mahal Library at Thanjavur. 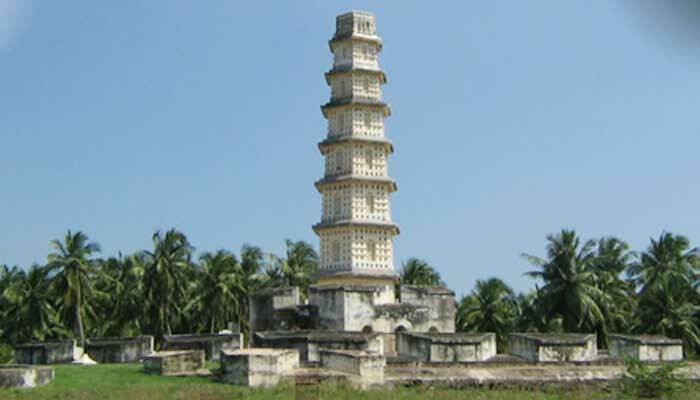 There stands a rather splendid and unique tower at Manora, a few kilometres southeast from Orathanadu, on a deserted stretch of coastline on the Bay of Bengal. It is 65 kilometres from Thanjavur and 20 km from Pattukkottai, and is situated at Mallipattinam alias Sarabendra Rajanpattinam. The name Manora is derived from the word "minaret" meaning small tower. 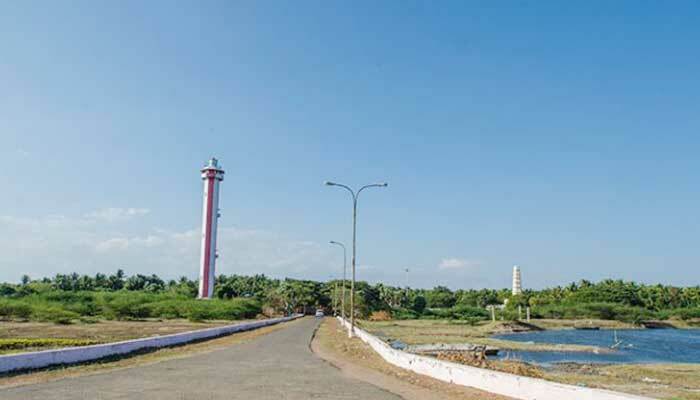 The project was to develop children's park to have additional facilities, provide additional lighting, install display boards, plant saplings along the road, lay new road from Sethu Road to the fort and modify thatched umbrella roof structures on the beach. The fort is one of the most prominent tourist attractions in the district.